Order your Pro Co AoD-FAN3-2XM Dante to 2-Channel Audio Output Module from AMS and enjoy 0% Interest Payment Plans, Free Shipping, Free Extended Warranty & 45 Day Money Back Guarantee. Pro Co's AoD-FAN3-2XM provides 2 channels of analog output from any Dante network. Powered by PoE (Power over Ethernet), AoD modules feature simple plug & play discovery of the device from your favorite Dante controller software. 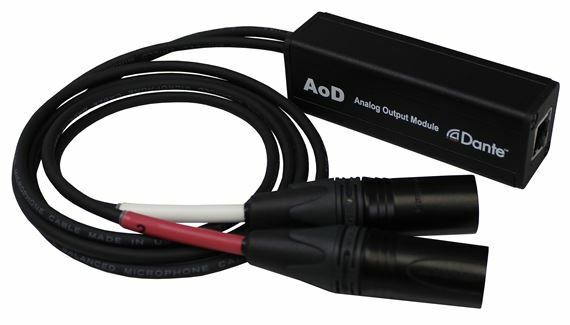 Featuring rugged aluminum extrusion channels, AoD modules provide studio-quality, low latency line level audio via the Neutrik XLR connector outputs.